An ARM executive has said that 64-bit Android smartphones will arrive by Christmas, a year after the Apple iPhone 5S debuted the tech. 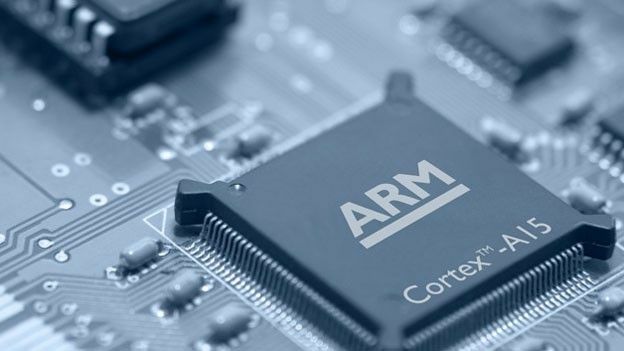 Tom Lantzsch, ARM's executive vice president of corporate strategy said that the company had seen a huge upswing in interest for 64-bit mobile processors from Android phone makers. Specifically, the 64-bit Cortex-A53 chip had received a lot of interest from smartphone makers, Lantzsch revealed. Apparently the demand has been so great that it caught ARM off guard. According to Lantzsch, ARM's management didn't believe a 64-bit ARM processor would be needed outside corporate service environments – at least at first. Apple's decision to put a 64-bit processor in the iPhone 5S spurred its rivals on to demand such a chip for their own handsets. “We've been surprised at the pace that 64-bit is now becoming mobile centric. Qualcomm, MediaTek, and Marvell are examples of public 64-bit disclosures," said Lantzsch. "Even existing 32-bit code will run more efficiently on [ARM's 64-bit] v8-A architecture than on native 32-bit ARM architecture." According to Lantzsch, ARM and its chip partners such as Qualcomm should be ready to deliver 64-bit processors en-masse by Christmas.